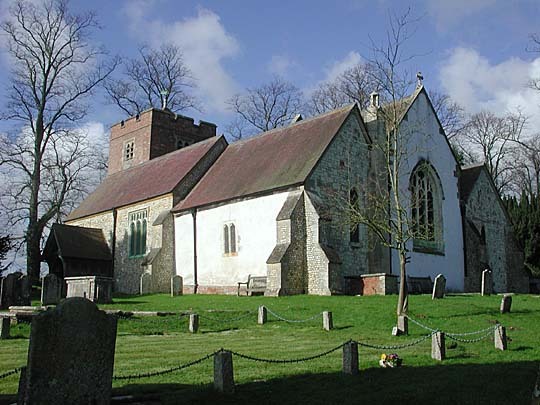 Tower, nave with aisles, chancel with south and north chapels. Tower west side. 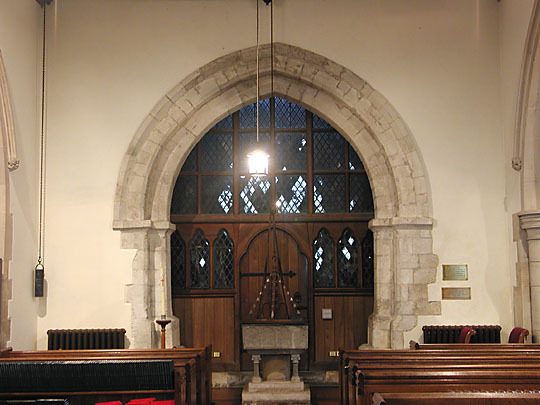 Windows appear to be Early English lancets of 1200s. Late Victorian neo-Decorated north aisle wall. From nave through to chancel. The nave arcades and aisles are late Victorian, 1890, in neo-Decorated style. Chancel Early Norman, i.e. 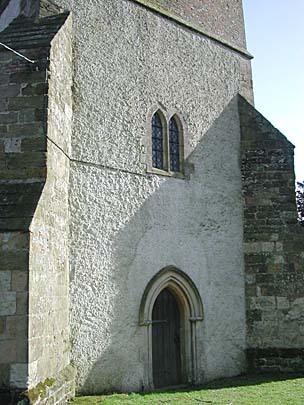 before mid-1100s, although east window is much later (Perpendicular). 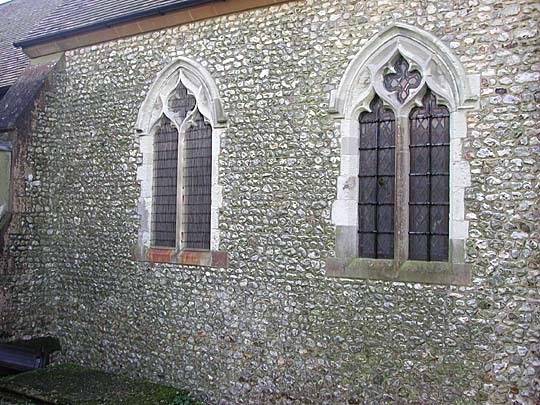 South windows of the Early Norman chancel. 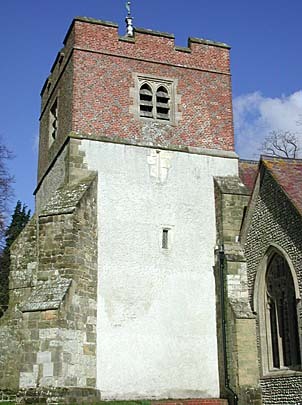 Chancel side of north chapel piers with multi-scalloped capitals and square abaci, mid-1100s. Arches of 1200s finishing above the abaci. Painted scrolls on one capital. 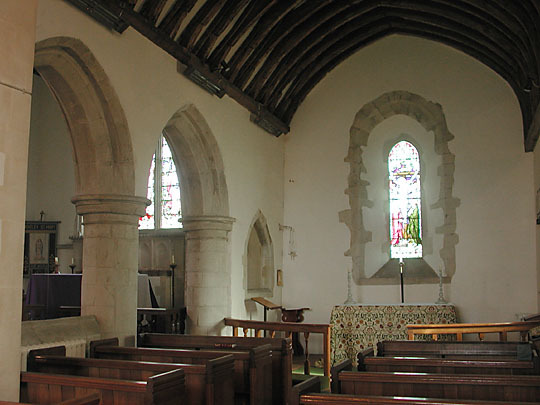 The south chapel is from 1200s, Early English. Piers have plain capitals, round abaci. Lancet east window.